Laurent Polito might not be the biggest name in the poker world, but on the WPTN circuit he's a veritable legend and last weekend he made sure everyone knew it. 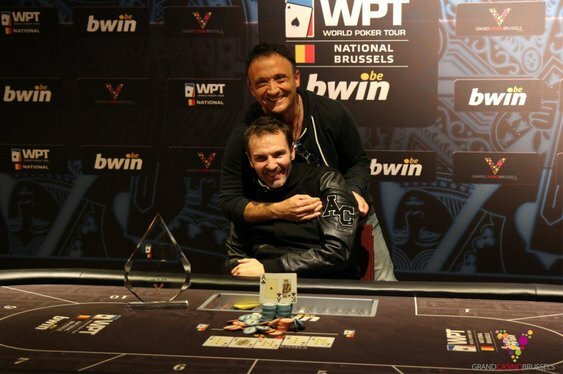 Having already won three WPTN titles in the last two years, Polito lined up alongside 428 in Brussels late last week for Event #3 of the WPTN festival inside the Grand Casino Brussels. Paying €750 to take part in the tournament, Polito found himself grinding against a slew of local qualifiers, travelling pros and online hopefuls, but then it came down to crowing a winner he was the only man to beat. After outlasting local grinders Dries Van and Son Ngoc, Polito was able to contribute to the demise of Norway's Endre Sagstuen before dispatching with Mohamed Razab-Zekh. With a fourth WPTN title in his sights and the chip advantage on his side, Polito was able to make light work of the Czech Republic's Michal Mrakeš in the final stages of the tournament. Indeed, after scooping the remainder of his opponent's chips and waiting for the confetti to settle, an overjoyed Polito was not only able to celebrate a €56,500 payday, but his fourth WPTN victory in two years.